Olympique Lyonnais and 1. FFC Turbine Potsdam are matched in the first UEFA Women's Champions League final at the Coliseum Alfonso Pérez in Getafe on Thursday 20 May. The inaugural UEFA Women's Champions League final matches a club from the dominant nation in female European competition, Germany's 1. FFC Turbine Potsdam, and the first French team to make it this far, Olympique Lyonnais. • This competition has replaced the former UEFA Women's Cup, which ran from 2001/02 until last season. • This is the first women's final to be played as a one-off match since the inaugural UEFA Women's Cup showpiece, won by 1. FFC Frankfurt in the German city. • All finals from now on will played two nights before the men's UEFA Champions League decider, and in the same city. • The other major change was that the eight top-ranked nations now have two competing teams in the competition, the titlewinners and runners-up. Both Lyon and Potsdam entered as national champions. • German clubs dominated the eight UEFA Women's Cup editions, winning five titles. Only twice, in 2002/03 and 2006/07, was there not a finalist from the Frauen-Bundesliga. • Potsdam lifted the trophy at their first attempt in 2004/05, beating Sweden's Djurgården/Älvsjö 5-1 on aggregate. • In the first leg in Stockholm, Conny Pohlers and Anja Mittag scored in a 2-0 Potsdam win. A week later Potsdam triumphed 3-1 with Petra Wimbersky opening the scoring before two Pohlers goals. • Of that team, Jennifer Zietz, Viola Odebrecht and Mittag remain with Bernd Schröder's side while Carolin Schiewe was an unused substitute in both legs. • The following season Potsdam lost the final to Frankfurt, the second of that side's record three wins. Potsdam were beaten 4-0 at home and 3-2 in Frankfurt, Pohlers scoring both of Turbine's goals. • Zietz, Mittag, Babett Peter, Isabel Kerschowski all took part while Schiewe and Josephine Schlanke remained on the bench. • Potsdam had one other European entry before this season, reaching the 2006/07 quarter-finals. They will be back next season as German champions. • Lyon have achieved what their men's side have never done by reaching a major European final. • Lyon's two previous UEFA Women's Cup campaigns ended in semi-final defeats. In 2008/09 they fell to Germany's eventual winners FCR 2001 Duisburg and the year before went out on away goals to Umeå IK – the Swedish club they beat at the same stage this season. 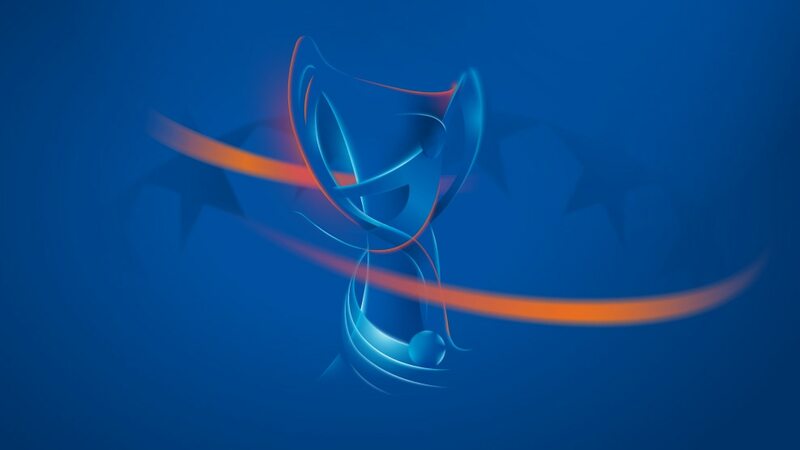 • The final will be Lyon's 25th UEFA competition fixture and Potsdam's 32nd – all of them under the same coaches. For both it will be the first in Spain. • The teams will be meeting for the first time in UEFA club competition though each have experience against sides from each other's nations. • In the 2005/06 second qualifying round, Potsdam drew 0-0 at Montpellier Hérault SC with both teams already assured of progress from the group. Lyon forward Élodie Thomis was in the Montpellier side. • The season before the teams met at the same stage but Potsdam had home advantage and won 6-0 on their European debut, Odebrecht and Mittag among their scorers. • Lyon's sole encounter with German opposition came in last year's semi-final defeat by Duisburg when a 1-1 home draw was followed by 3-1 away loss. Potsdam's Fatmire Bajramaj was in the Duisburg lineup for both legs, and also scored in the final victory against Russia's Zvezda-2005, before her summer switch. • Lyon's Norwegian international striker Isabell Herlovsen was born in Germany while her father Kai Erik Herlovsen was playing for VfL Borussia Mönchengladbach. • Potsdam defender Schmidt and midfielders Bajramaj and Zietz have played in all eight games of their run to the final. Indeed, Zietz has played every game in all of Potsdam's European campaigns. • Defender Wendie Renard plus midfielders Corine Franco and Shirley Cruz Trana have been ever-present for Lyon. • Mittag has scored nine goals in Potsdam's campaign, two behind the leading scorer Vanessa Bürki of FC Bayern München. Lotta Schelin has struck five times for Lyon. • Overall Potsdam have averaged four goals a game in their run, scoring 32 and conceding only twice. • Mittag, Bajramaj, Schmidt, Peter and Zietz were in the Germany squad that won UEFA WOMEN'S EURO 2009 in September. • When Germany beat France 5-1 in the group stage, Schmidt started against a Les Bleues side containing Lyon's Sarah Bouhaddi, Laura Georges, Thomis, Louisa Nécib and substitute Sandrine Brétigny. • Ingvild Stensland and Herlovsen were in the Norway side that lost 4-0 to Germany in the group stage – Bajramaj (2) and Mittag scoring. The Scandinavians also went down 3-1 in the semi-finals despite Herlovsen's opening goal, Bajramaj coming off the bench to score Germany's third. • Stensland and Herlovsen were also on the losing side against Germany in the final of the 2005 UEFA European Women's Championship. Mittag featured in a 3-1 triumph for the all-conquering Germans. The club from the former east Germany have vied with 1. FFC Frankfurt and FCR 2001 Duisburg for supremacy in recent years both nationally and continentally. Olympique Lyonnais president Jean-Michel Aulas has invested heavily in their women's team and they rewarded him by reaching the club's first European final. Umeå IK 0-0 Olympique Lyonnais (agg: 2-3)Lyon's female team succeeded where their men's side failed as they progressed to the UEFA Women's Champions League final.